The film is much more frightening that the 1990 TV miniseries. Bill Skarsgard is not Tim Curry. You and I know it, Skarsgard knows it, and the director of It knows it. 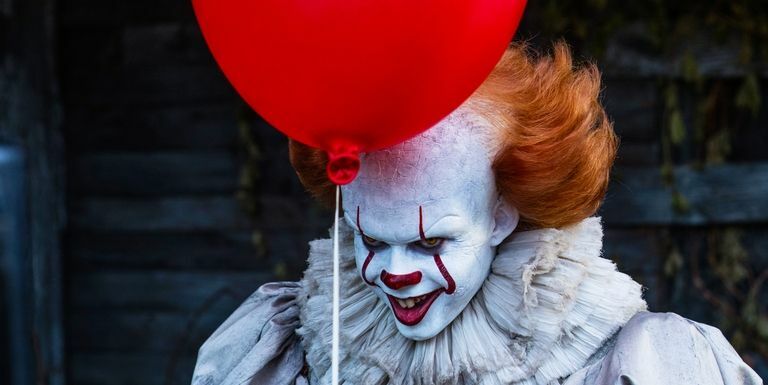 For any fan of the 1990 miniseries adaptation of Stephen King's epic horror novel, that will be the hardest thing to accept in director Andy Muschetti's new version of It. 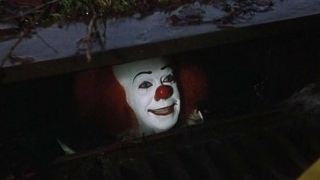 Despite being open-minded about Skarsgard's Pennywise, I bristled when little Georgie Denbrough first encounters Pennywise in that storm drain in the film's opening sequence. 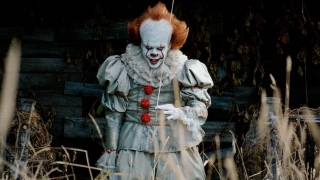 Skarsgard has a baby face, which is heightened by Pennywise's makeup design; his full cheeks seem to equally match the clown's high, large forehead. 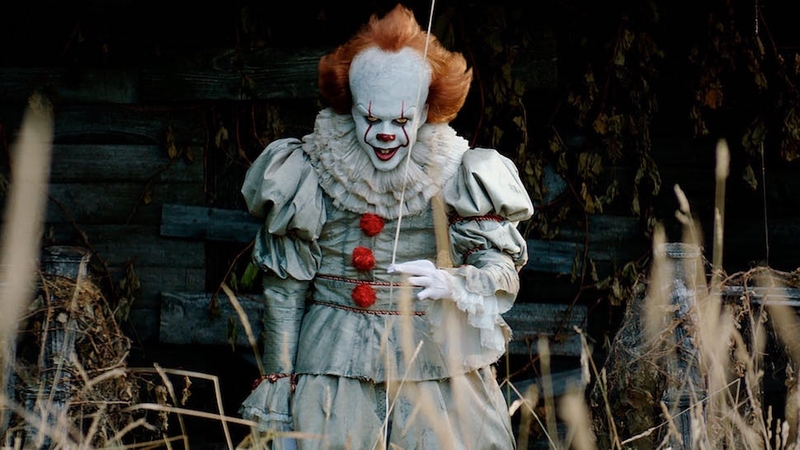 And his voice manages to be more sinister than silly; it's much more high-pitched than Curry's, who played Pennywise for more laughs than scares. 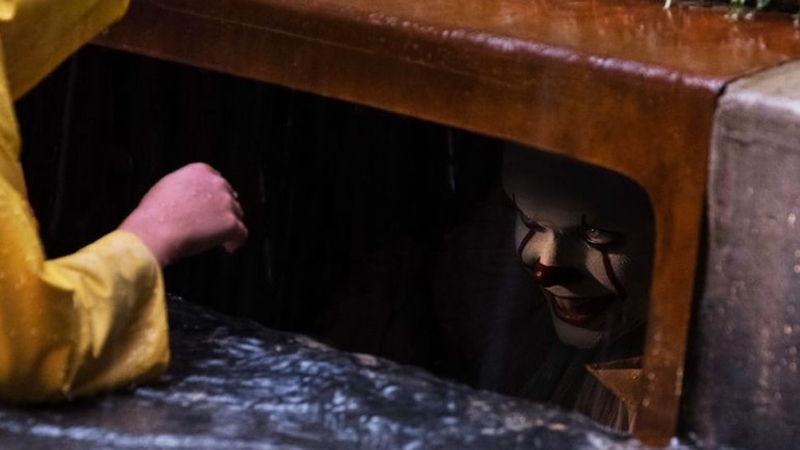 But by the end of the film's first scene, when Pennywise makes his attack on poor Georgie, you know that this is not a late '90s adaptation of It. This is a brutal horror film, one that begins with a shocking scene of violence committed against a child. (The woman sitting next to me literally scream out loud at the sight of what happens.) And the film will continue to be an onslaught of horror for its next two hours, culminating in a long, incredibly tense battle between good and evil. By the end of the film, you might still feel a bit nostalgic for Tim Curry's creepy clown. But Skarsgard's Pennywise is an entirely new creation that stands apart from the softer, TV-sanitized version from almost 30 years ago. We can all agree that the 1990 version of It isn't as scary as we thought it was when we saw it as kids. The 2017 version ups the ante—at times it's very stressful to even watch, which is the hallmark of an entertaining horror film. At the same time, it's not a broodingly serious horror movie, and that's a good thing: It is fun to watch precisely because of the stress. But while It had every opportunity to be a prestige Stephen King adaptation (think The Shining, or even Misery, with slow-building tension driving the scares), the movie falls a little flat in its tone, relying on the quick, visceral, visual scares rather than a slow-building, underlying mood. I wonder what it would have been like if the scariest parts of the film were its thematic notion that fear itself is an excellent tool to alienate, threaten, and control—which is precisely what the shapeshifting evil at the center of the story manages to do to the small town of Derry, Maine. For the bulk of the movie, the scares come from a mile away—even when there's no clown in sight. Perhaps because Curry's Pennywise is so iconic, Skarsgard's is reduced a bit—at least in the first half. Instead, the monster takes various forms: a clown, sure, but also the creepy, distorted subject of a painting, a disfigured leper who hangs around an abandoned house, and a geyser of blood bursting from a bathroom sink (a nice callback to The Shining). But in classic horror movie form, our heroes foolishly enter dark rooms, quietly sneak around corners, take long hikes through the sewers. And boom. There's a scary thing, there's another scary thing. Oh, hey, there's a giant scary thing that also loudly announces itself. While It focuses mostly on jump-scares, the movie also manages to tell an interesting story with actual characters. The first act serves more as character-building than anything else, establishing the close-knit group of the Losers' Club led by Bill Denbrough. Each of the kids has one particular trait that identifies them as an outcast in their white bread, all-American small town: Bill has a stutter, Ben is chubby, Stan is Jewish, Eddie a hypochondriac, Mike is African-American and homeschooled. Beverly, the lone girl in the group, is on the verge of adulthood (another classic female-centric horror trope). Richie (played by the most recognizable actor in the film, Stranger Things star Finn Wolfhard, who plays Mike on the Stephen King-inspired Netflix series) doesn't have a tick, per se, other than a motormouth that delivers most of the film's comic relief. The kids' individual fears are perhaps more frightening than Pennywise himself. Bill is haunted by his missing brother, Georgie; Eddie is stalked by the leper, whose body is rotting and putrid; Beverly fears her aggressive father, who hovers over her. (Every one of them is bullied by the mullet-sporting Henry Bowers.) Like the idea of Pennywise himself, the concept of evil is what is so scary—think, after all, how frightening he was when you were a child when you saw the fairly tame miniseries version. Childhood fears are always scarier in theory; once you turn on the light and see that the shadowy figure in your closet is just the coat on a hanger, the mystery is gone and the terror dissipates.